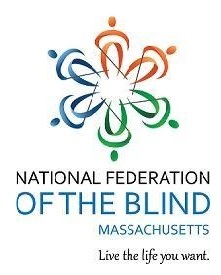 The National Federation of the Blind of Massachusetts will be hosting its annual Walk on Sunday, September 30, from 9:00 A.M to 1:00 P.M. The walk will take place at the Fresh Pond Reservoir, In Cambridge, MA. Scott Hurley, Cambridge Savings Bank, 1374 Massachusetts Avenue, Cambridge, MA 02138. For online donations using a credit card or existing PayPal account, please select the 'Donate' button on this page.